Year of construction: January 2, 1970 ? January 2, 1970 Listed as manufacturing date by a vendor but this is questionable. Pre 1988 Torino, Italy Colour changed to red. 1988 UK Bought through Fratelli Galbiati. March 1990 UK First registered in the UK. 2012 UK Car remained in same ownership since 1988. Offered for sale on various UK websites at £17.995. 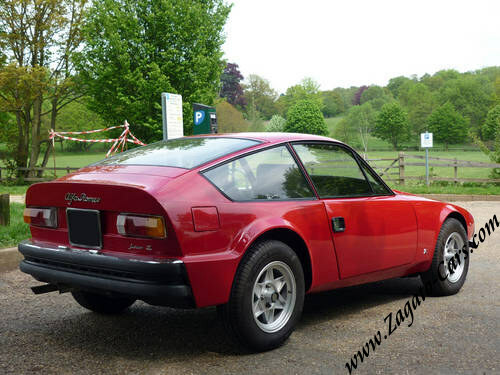 Described as follows: This Alfa Romeo Junior Zagato is one of the ultra rare first production batch with aluminium doors and bonnet - in fact, according to factory records, it is the 11th production car built. 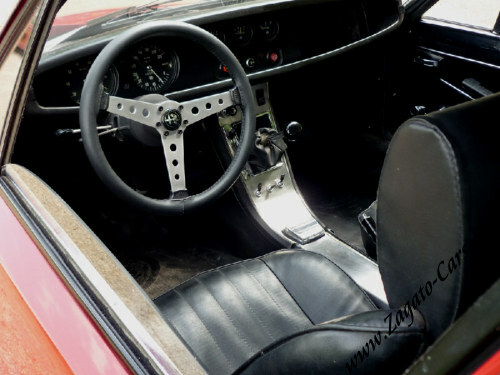 Briefly, its documented history shows that the chassis entered Zagato in March 1969. 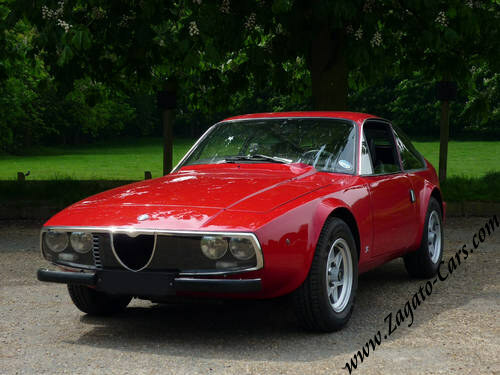 Completed, it was dispatched from the factory to Alfa Romeo on the 2nd January 1970 finished in white with black interior. 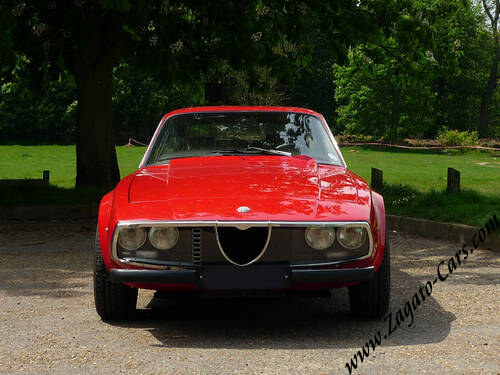 For reasons unknown it was to remain with Alfa Romeo for another 12 months before being sold and registered to it's first owner in Turin on the 27th January 1971. Fast forward to 1988 and just four owners later, it was still in Turin. In the intervening years it had become red and acquired Stil-Auto magnesium wheels (optional equipment on later production) but otherwise is remarkably original and has a low mileage of circ 56k miles which is believed genuine. 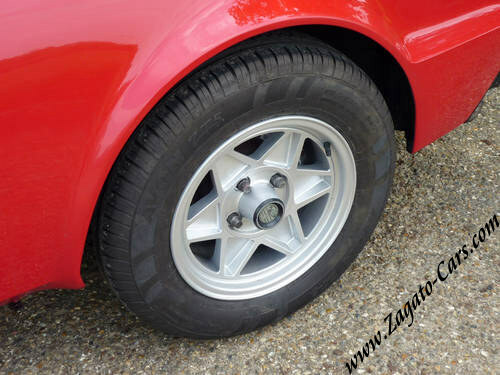 Bought through Fratelli Galbiatti (renowned specialists, restorers and Zagato sub-contractors) Although in the same ownership since 1988, it was not driven back to the UK and registered until March 1990. In the past 24 years, it has been driven less than 2,000 miles, but nonetheless has been kept in tip top condition, including an engine rebuild (2010). 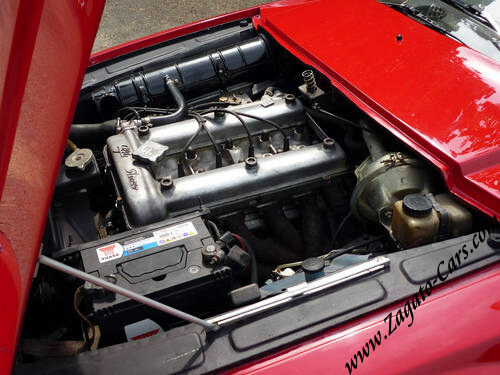 Overall condition is very good, nonetheless, it would benefit from some detailing to engine bay and interior - see pictures. Well documented history to include factory records, ownership history, misc. correspondence, sundry invoices and workshop manual.